As I was watching the reveal on BBC One, I was genuinely shocked when Jodie Whittaker was revealed to be our first-ever female Doctor in Doctor Who. 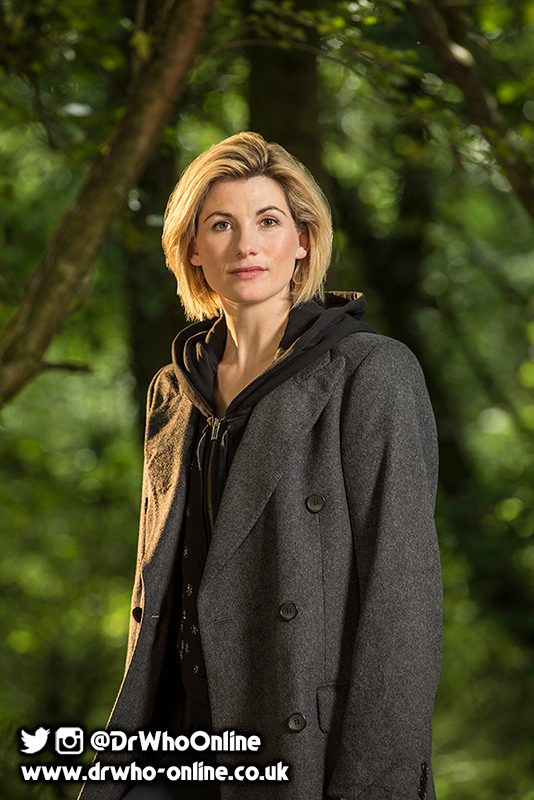 I've always been of the opinion that The Doctor is male, and, perhaps, always should be - it has clearly been his preference for 12 (ok 13) incarnations, but maybe now really is the time for a whole new take on the role? We live in a time of equality and representation, and TV is an important platform to portray this. The sad reality is that it has taken so long for these issues to start being reflected realistically, and even now there's still a long way to go. I genuinely didn't think the BBC would commit to the casting of a female actor in the role of The Doctor - especially now that Top Gear has lost its shine and put Doctor Who front and centre, but I fully support and applaud them for doing so. It's a bold move to take the franchise in this direction; just as it would be to change the gender of James Bond or Buffy, but Doctor Who lends a real opportunity now that Steven Moffat has paved the way for Time Lords to change their gender as part of canon. I do not believe this is an "experiment" or "stunt casting" - or even an attempt to "boost ratings", which, by the way, are still excellent. I think this is the BBC, and Chris Chibnall saying "the time is right!". When Jodie removed the hood and revealed herself as the Thirteenth incarnation of The Doctor, despite my initial shock, there was something so right about her. Having watched Broadchurch from the start, I was already aware of her as an actress, and can honestly say she has a huge amount of talent that she is going to bring to the role. I am genuinely excited, and cannot wait to support Jodie and the show when it returns in 2018 (after the Christmas special, of course). Another happy side product of the decision is that there will be a whole new generation of fans - both female and male, growing up with a new role-model to look up to. But hasn't that always been The Doctor? Throughout the show's long history The Doctor has always been on the side of good; a character everyone can look up to, and now that he will become a she, that very same trait will still be at the core. "At a later stage Doctor Who should be metamorphosed into a woman. Don’t you agree that this is considerably more worthy of the BBC than Doctor Who’s presently largely socially valueless, escapist schlock? ... This requires some considerable thought – mainly because I want to avoid a flashy, Hollywood Wonder Woman, because this kind of heroine with no flaws is a bore." If there was any further worry that this was a bad decision, not in keeping with the show, then surely its creator, essentially giving his consent to the idea is something to take comfort in. Yesterday was our most active day on Twitter (twitter.com/DrWhoOnline), with literally thousands of tweets from our followers and visitors, mainly in support of the new choice. There were, however, a group of fans spouting a lot of hate speech towards the BBC and Jodie Whittaker, which is completely unacceptable. Freedom of speech is one thing, but hate speech has no place in fandom. I was appalled at some of the comments I read, with some fans saying they would stop watching. One has to ask the question if they truly are fans? There is no denying that this has split fandom somewhat, but now is not the time for division or segregation, we should come together and rally around our new Doctor, after all, she IS The Doctor, whether you like it or not. Fandom should be a safe place for fans of all ages to share their opinions and discuss things, and DWO will not tolerate any hate speech or intolerance of others. We will therefore be stepping up to anyone doing so on any of our website or social media platforms. We would love to hear from you in the comments below or via the Forum Discuss link, below.